rocheleau/bussière/couture is an improvisational noise trio from quebec. their new album 'rbc' seems to be a set of variations on the theme of their collaboration itself, some of which is conducted from a distance. each song title is a variation on 'rbc' ('run! bleed! create! ', 'roof burning catastrophe'), which adds to the thematic cohesion of the album. 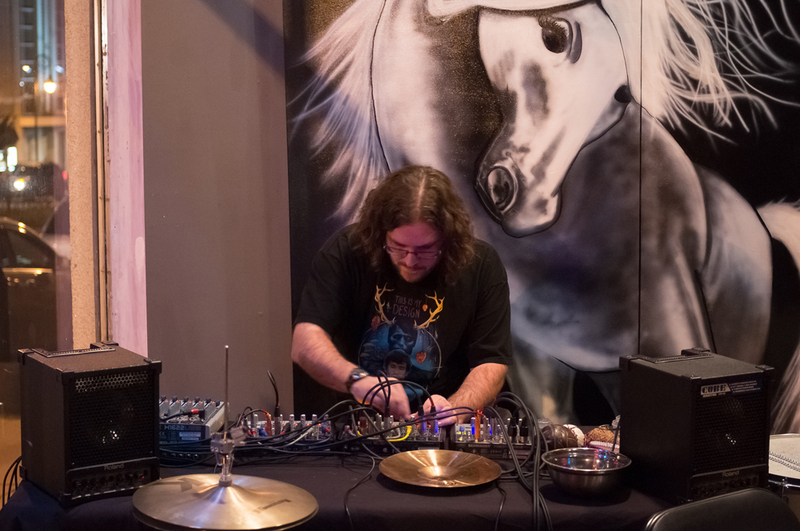 the music is a combination of harsh electronic noise, found sounds, radio samples and other signals, all recorded in a free improvised manner. get it here for free from pan y rosas discos.